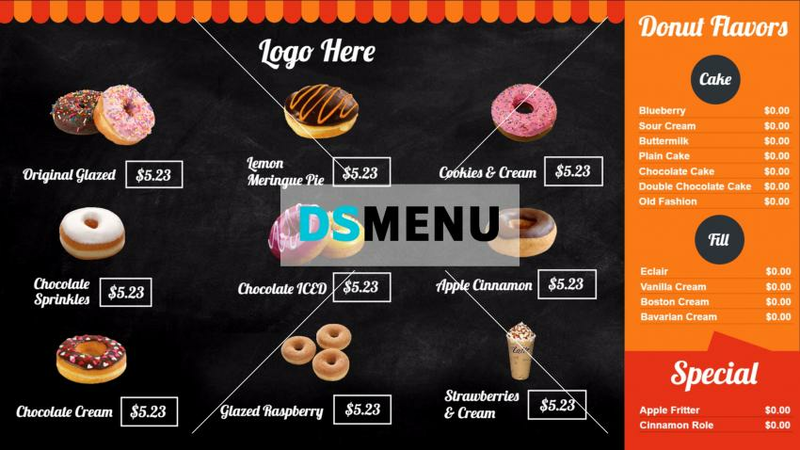 A bicolour donut shop menu board templates with prominent graphics on one side and products showing on the other side. The menu board is worked along the theme of chalk menu board. The menu board is ready for edit and download.